I received a few emailled questions about winetasting etiquette in France after my last Authentic France Travel Tip entitled “Don’t Be Intimidated by Winetastings“. So without further ado, here is Laura’s Primer in Winetasting Etiquette that I include in all the information binders at our properties. If you would like to do a BIG tasting where no wine purchase is expected or required, go to one of the big Domaines such as Patriarche, Bouchard, or Reine-Pédauque where you pay for a tasting. Another fabulous possibility is to take part in one of the MANY wine festivals in France such as our local Saint-Vincent festival in late January, the Beaune wine auction in November, or the Fête du Vin Bourru in October in Nuits-Saint-Georges. In all of these places you pay for a glass and / or tickets and can then winetaste to your heart’s content. These events are a blast, and definitely give you an authentic experience of France’s wine regions. At the smaller, family-run Domaines, winetastings are almost always free. There is never an obligation to buy, but do keep in mind that making wine requires a lot of hard work. If you like the wine, it is good manners to buy a bottle or two after the tasting. This is one of those unspoken yet understood points of etiquette. 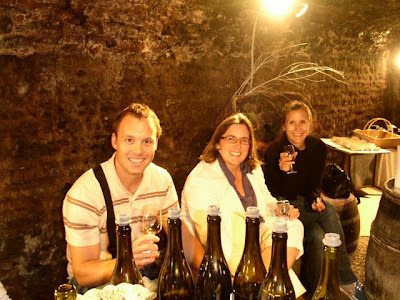 Many people drop in to the smaller Domaines without an appointment for impromptu tastings. While this is indeed accepted practice, all the winemakers I know here are always saying how they prefer an appointment. This way they can set aside time in their busy days to consecrate to the tasting, and a more relaxed, more involved tasting is inevitably the result. Don’t keep going back to the same (small) place expecting tastings every time you come to buy a bottle or two. Better to vary the places you visit, and besides, this is the best way to discover the unbelievably diverse world of French wines! You are not expected to swallow everything you are given to taste, though you can if you want. It is perfectly polite to spit. Complain about those nasty gendarmes patrolling the routes with their alcohol tests and you will be viewed as un type sympathique. If the spittoon isn’t conspicuous, ask for one; this is infinitely preferable to spitting into the Sterling silver family heirloom champagne bucket by mistake. If they offer you a free bottle of something nice at the end of your tasting, by all means accept it – they wouldn’t offer it if it wasn’t heart-felt; that’s the Burgundian way. 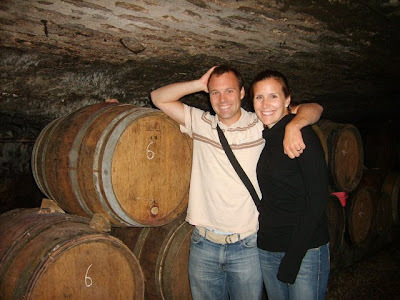 This entry was posted in Authentic France Travel Tips, Wine-Related Posts on December 16, 2008 by admin.